An old and time-honored Catholic tradition will return to the Basilica of St. Patrick’s Old Cathedral June 24-26. The church will remain open for 40 consecutive hours of prayer before the Blessed Sacrament — a traditional form of Eucharistic devotion called, appropriately enough, 40 Hours. This prayer form was popularized in the United States by St. John Neumann, whose 200th birthday we’re celebrating this year. The Basilica is hosting 40 Hours as part of the Neumann Year celebration. It will also mark the 175th anniversary of Neumann’s ordination as a priest, which took place June 25, 1836 in this same Basilica at the hands of New York Bishop John DuBois. The 40 Hours celebration will begin with a solemn opening Mass on Friday, June 24 at 7 p.m., and will conclude with a 10 a.m. Mass and Eucharistic Procession on Sunday, June 26, which is also the Solemnity of the Most Holy Body and Blood of Christ (Corpus Christi). 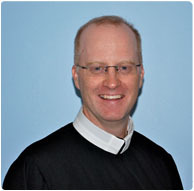 Redemptorist Father Matthew Allman will be the guest preacher for 40 Hours. He will offer reflections during each of the Masses throughout the weekend. The regularly scheduled Saturday evening vigil Mass will feature music by the Philadelphia Archdiocesan Boy Choir, under the direction of Tom Windfelder. The choir frequently travels around the world to perform at significant Catholic shrines and churches. Composed of boys from throughout the Philadelphia area, the choir rehearses at the Shrine of St. John Neumann in that city. In addition to periods of quiet prayer, morning and evening prayer, the rosary, and the Divine Mercy Chaplet will be prayed as a group throughout the weekend. Confessions will also be offered Saturday afternoon from 1 p.m. to 5 p.m. Click here for a full schedule or call the Basilica at 212-226-8075. 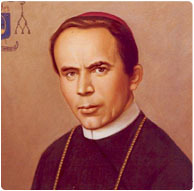 A significant first-class relic of St. John Neumann will also be available for veneration by the faithful. A native of Bowie, MD, Father Allman, 37, professed vows as a Redemptorist in 1994 and was ordained to the priesthood in 2000. He has served in Redemptorist missions in St. Lucia, West Indies; at the Redemptorist General House in Rome, Italy; and as associate pastor of the Basilica of Our Lady of Perpetual Help (Mission Church) in Boston, MA. He recently completed his studies at Catholic University in Washington, D.C., earning master’s degrees in American Church History and Archival Studies.